The Southwest faÃ§ade belies a contemporary aesthetic within this singular enclave, a stroll from Canyon Road and the Plaza. High walls, punctuated by classic gates, enclose the distinctive landscape. Reimagined by current artist/designer owner with architect John Midyette, this vintage property now embodies a contemporary flow. The living room, library, dining room, and kitchen radiate from the entrance gallery. Beyond are a double office and the master suite which accesses a secluded portal. The guest suite is located off the reverse side of the core. A huge sun room serves as an art studio, exercise area, and TV lounge. With doors to north and south garden areas, the space suits myriad purposes. Completed in 2010, the contemporary environment is punctuated by selectively restored vintage vignettes. Japanese floor tiles create a visual flow throughout. Convenience and abundant storage were well considered in developing the distinctive aesthetic. Evident everywhere, respect for design integrity was integral to the creative process. Mature trees enhance the private grounds that otherwise have been completely reconfigured and developed into unique areas. Gravel surfaces access sculptures, a rock installation, and various seating configurations: The largest flows around a notable stacked slab table; another is focused on a fire pit/table. The regal maple tree shades a special space. A sheltered portal provides dining, lounging, and storage areas. 2. Gas Burning, Fireplace, Wood-burning, 2 or More Fireplaces. 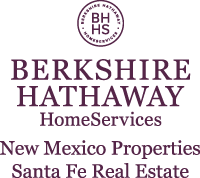 I am interested in 522 Calle Corvo, Santa Fe, NM 87501. Sign up for Inside AccessTM to view recent sales near 522 Calle Corvo. This content last refreshed on 4/18/2019 8:31 PM. Some properties which appear for sale on this web site may subsequently have sold or may no longer be available.